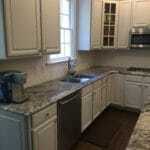 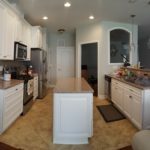 Our homeowners had recently been through a flooded first floor and they were in the process of redoing everything. 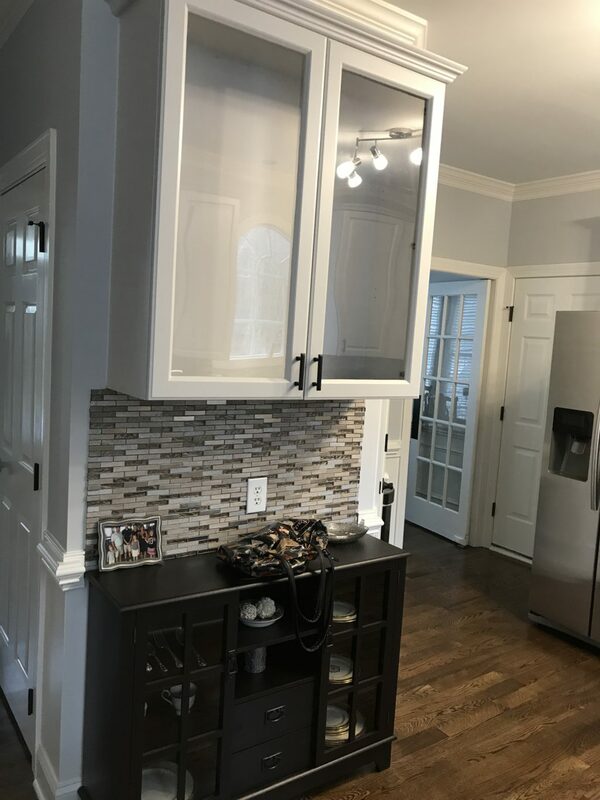 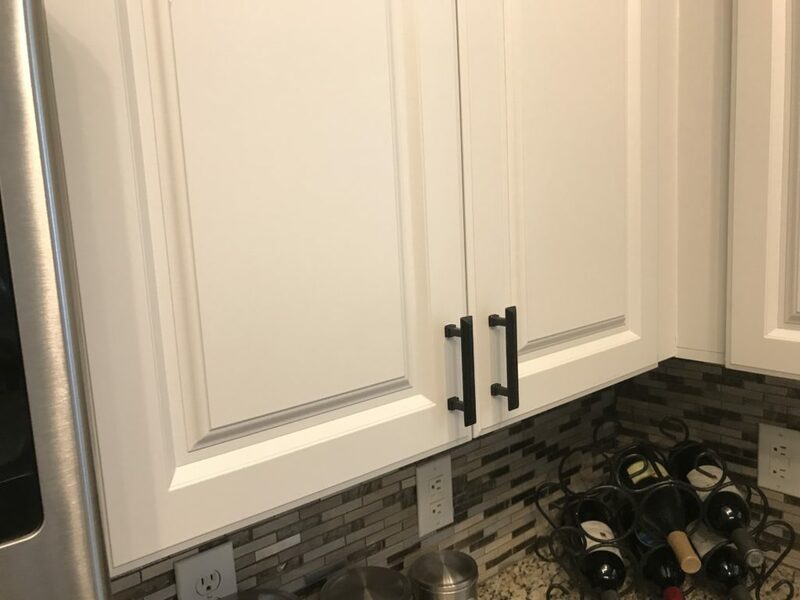 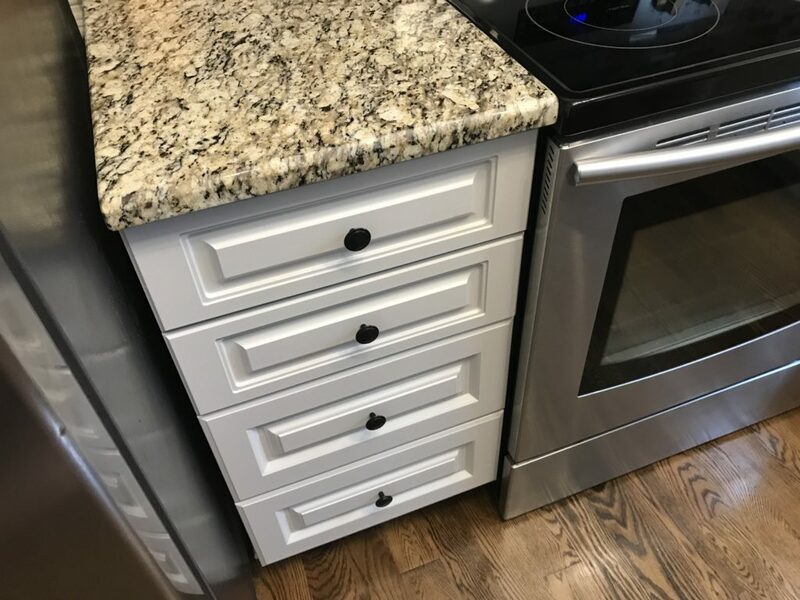 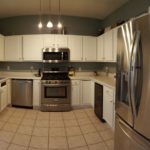 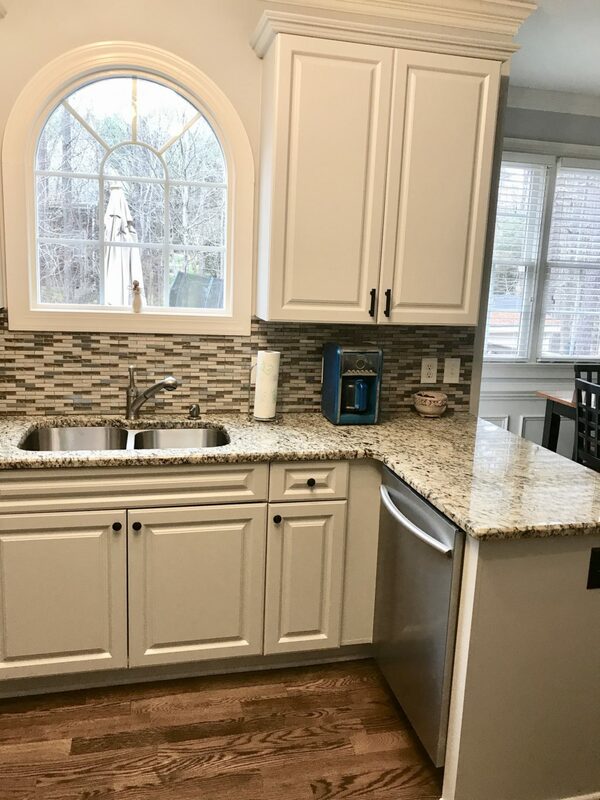 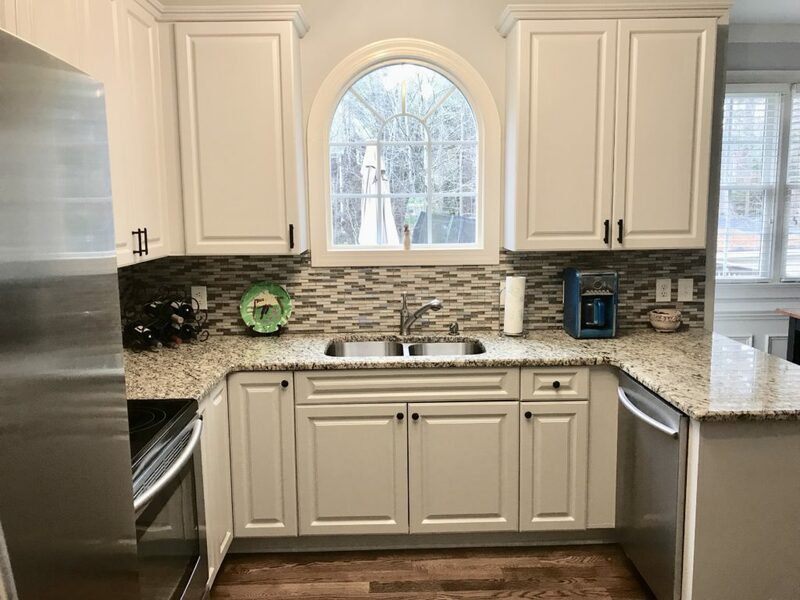 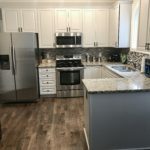 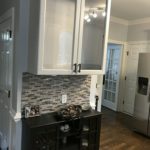 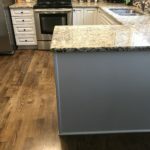 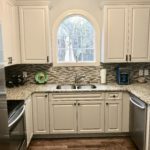 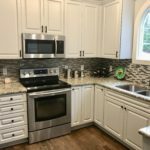 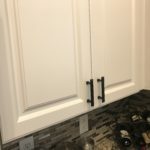 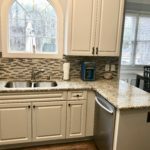 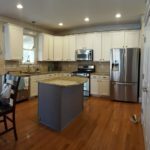 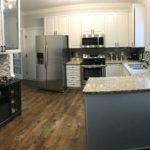 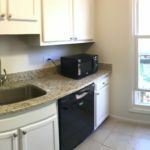 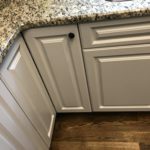 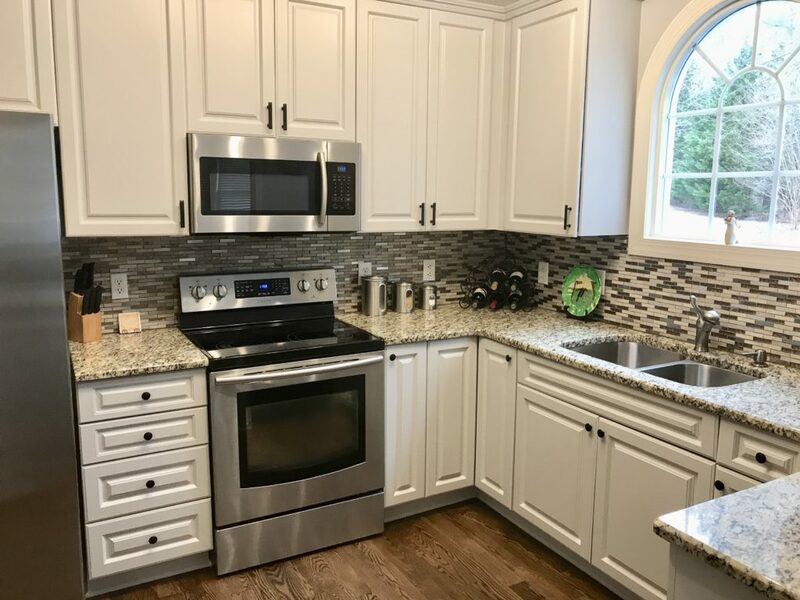 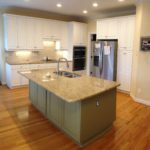 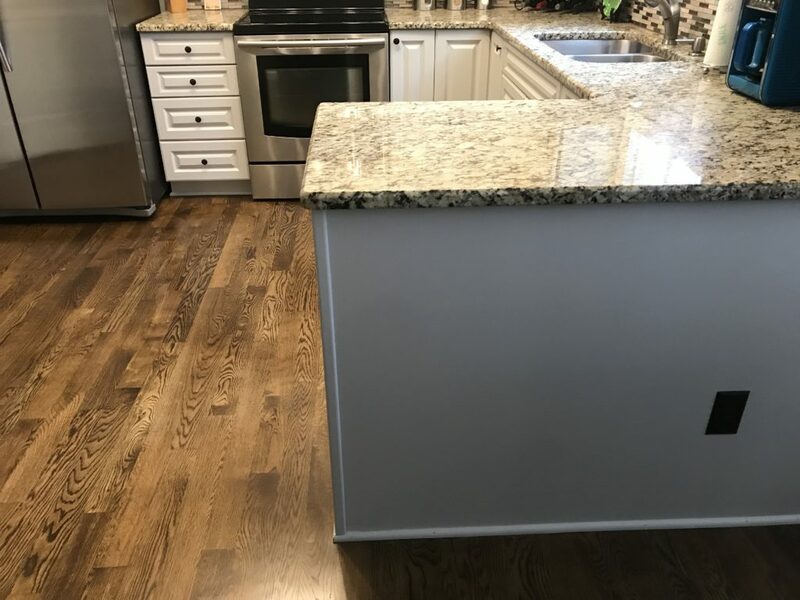 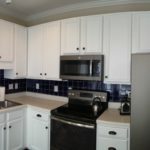 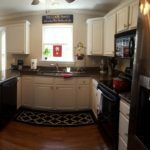 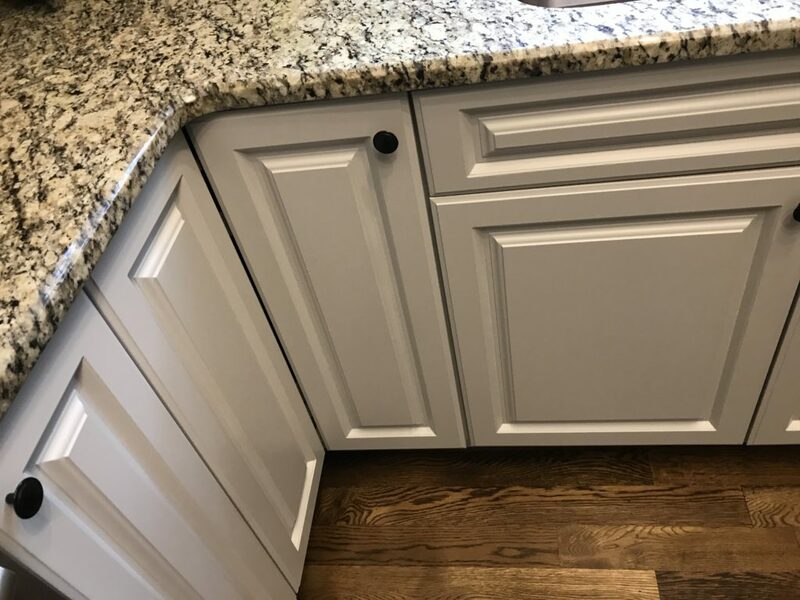 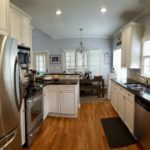 We stepped in and let them know that their thermofoil cabinets could not only be saved, they’d also look amazing when we were done with them. 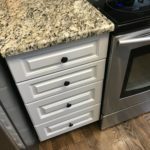 The thermofoil was removed and then we painted the MDF doors and drawers. 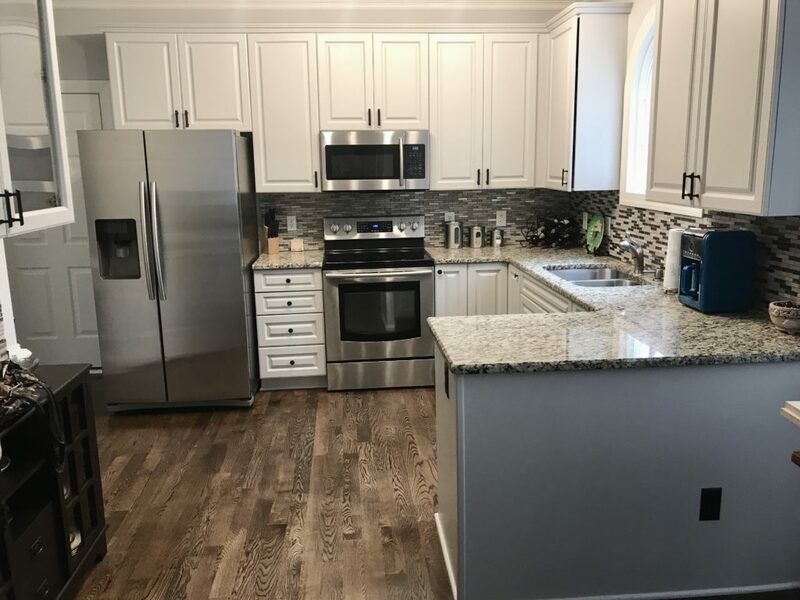 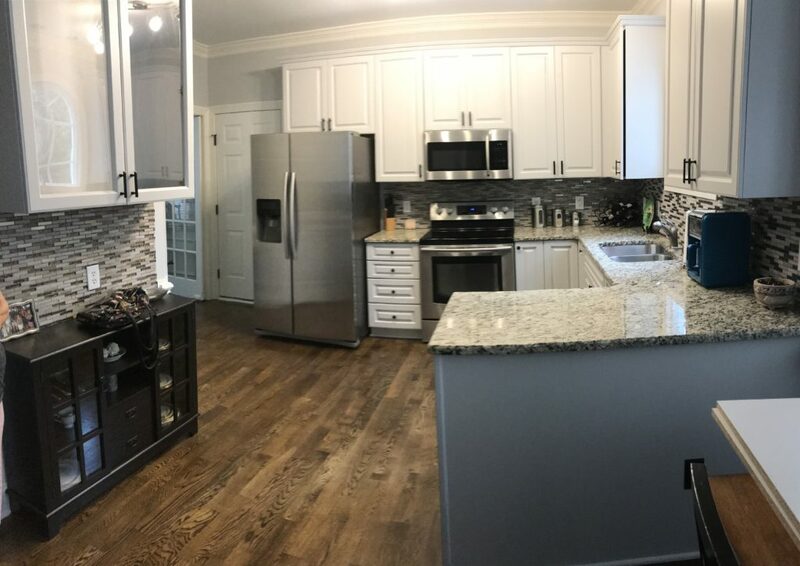 So even though having a flooded home isn’t a fun experience, at least they have a brand new looking gorgeous kitchen to show for it!